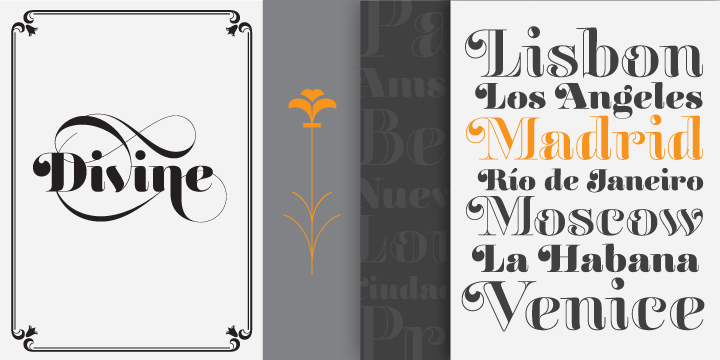 Reina is a decorative didone typeface created by Maximiliano Sproviero and published by Lián Types. Inspired by the calligraphy and typography masters of our past such as Didot, Bodoni and Herb Lubalin, Reina aims to incorporate the decorative accolades from black-letter and copperplate styles into a modern typeface. To achieve better printing results, Reina family consists of 3 different font sizes: Reina 72 Pro for display sizes, Reina 36 Pro for medium sizes and Reina 12 Pro for small size. For more details check out the Reina’s User Guide by Lian Types. 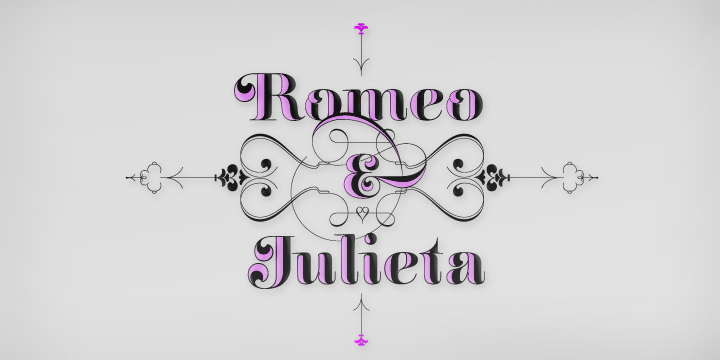 A font description published on Monday, November 25th, 2013 in Fonts, Lián Types by Andrei that has 8,203 views.